Final Fantasy is a name that’s become synonymous with the JRPG genre; over the decades there have been dozens of mainline releases and spinoffs that iterate on the tried-and-true formula in unique ways. The latest entry in the numbered franchise—Final Fantasy XV—was a bit of a departure for the series, marking the first notable effort towards providing a true open world setting and mixing up the combat as a result. However, alongside the release of Final Fantasy XV came a smaller-scale game that aimed to celebrate the long lineage of the series in a more pure and back-to-basics approach, and now that game is being released on the Switch as World of Final Fantasy Maxima. 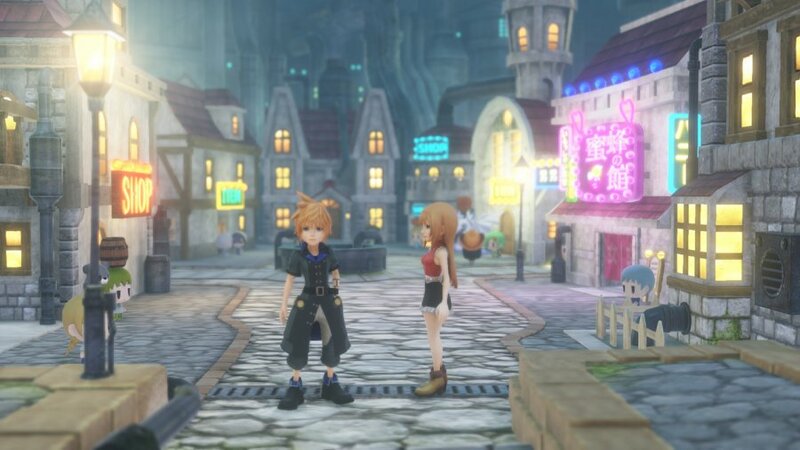 Although it doesn’t necessarily wow in many aspects, World of Final Fantasy Maxima proves that Square Enix still understands the elements necessary for producing a captivating RPG. The story follows Lann and Reynn, an amnesiac brother and sister who are told that they were once Mirage Keepers, fearsome warriors that are capable of commanding legions of Pokémon-like Mirages. After being brought to the land of Grymoire by a mysterious figure, the duo set out on a journey of self-rediscovery as they work to uncover their past and become involved in the conflicts between the inhabitants of Grymoire. As far as JRPG stories go, it’s a fairly cookie cutter and trope-laden journey that feels a little too safe in many places, yet it also does contain some legitimately thrilling surprises for those of you that can get past the often cringe-worthy writing. Things like a mirage named Tama that inserts a “the” into sentences at random or a very tired gag about Lann always being an idiot tend to wear on you as the hours drag on, but the world is well fleshed-out and earnest in its depiction. 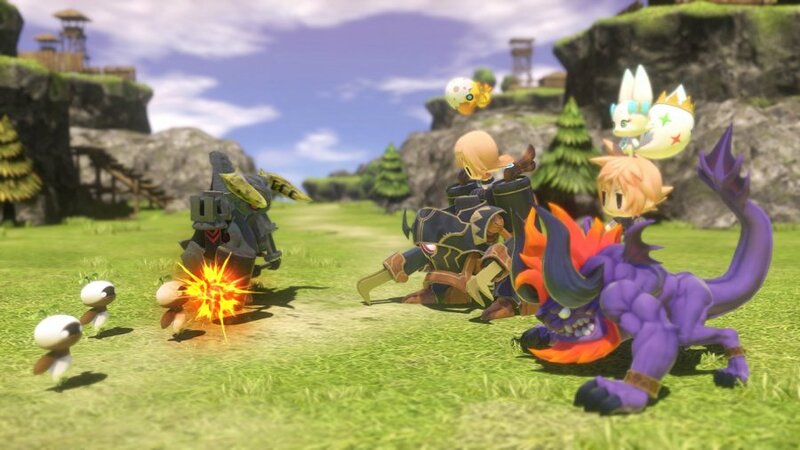 World of Final Fantasy Maxima adapts the classic Final Fantasy ATB combat system, but at the centre of it lies a party management system that bears more than a passing resemblance to the Pokémon series. Each random encounter pits you against cutesy monsters called Mirages that must be weakened in some fashion so that you can ‘imprism’ them. This often requires you to simply lower their health to a sufficient degree but some Mirages have more interesting catch requirements attached to them, like requiring that you heal them or that you knock out all other Mirages on the field first. Once you catch a Mirage, it can be equipped on either Lann or Reynn like a weapon, and each of them can have two load-outs depending on whether they’re in Lillikin or Jiant form. You can toggle between these forms at will; their Jiant forms are the pseudo-realistic ‘normal’ look and their Lillikin forms give them a squat, Funko Pop-like chibi look. Two mirages can be equipped on either form, and they stack either above or below your character in an adorable little tower depending on their size. This stacking mechanic goes further than simple aesthetic, as each unit in a stack shares from a pool that combines all skills, attacks, and stats. This system adds in a surprising amount of strategy to something that initially seems to be quite simple, which helps to eliminate the feeling of grind that naturally sets in with randomized, turn-based battles. You can choose to fight unstacked and have more units acting overall, but they’ll be weaker and easier to knock out, while if you fight stacked, there’s a chance that you could be toppled by an enemy attack and have all affected units stunned for the next turn. Different enemies demand different strategies, which ensures that you not only explore everything that the stacking system has to offer, but that you also regularly mix up what Mirages you equip. Every Mirage has an elemental attunement, which dictates the kinds of skills, magic and attacks that they have access to. Some are more prone towards offensive tactics while others are better used in a support role, and how you pair them up can have a huge impact on their overall effectiveness. For example, if you stack two Mirages that both have access to fire magic, you also get the option of casting the much more powerful Fira spell. As you level up a Mirage, you’re given points that can be spent on a skill grid to unlock new stat buffs and actions, and you can even evolve them into more powerful forms after hitting certain milestones. Summons make a return as well, and this is where most of the fan service comes into play. Various characters from across the series’ lineage are made available throughout the course of the narrative as Champion Medals, of which you can equip three at a time. Usage of these medals is governed by a gauge that fills as you give and take damage, and once you’ve acquired the necessary stars to use a medal, that character is called into battle in an extremely flashy cutscene in which they use a massive attack or action. This honestly feels a bit like a bit of an afterthought, but having series luminaries like Squall, Tifa, Sephiroth or Lightning make a cameo appearance is still a cool addition. 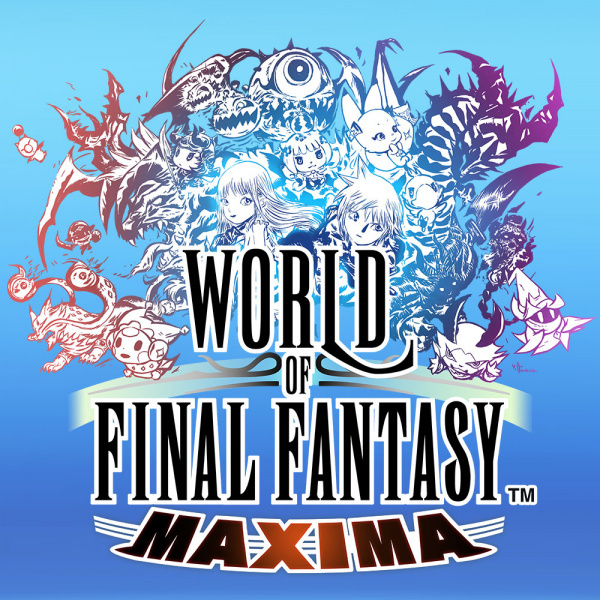 This battle system has a considerable amount of potential, which is why it’s such a shame that the World of Final Fantasy Maxima seldom challenges you enough to push the limits of what’s possible with Mirages. Standard encounters can be defeated with just about whatever you’d care to equip, and though there are some notable difficulty spikes in boss encounters, there’s still very little in the way of challenge to be found in most of the forty-hour campaign. Not all will see this as a negative, and it's worth remembering this is a game that was specifically designed for younger audiences, but those of you looking for a dense and challenging RPG will find plenty of density, but not much challenge. 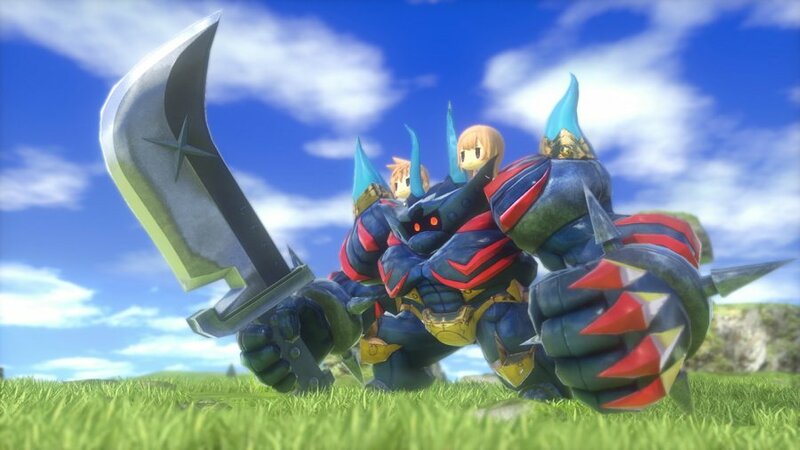 With that being said, World of Final Fantasy Maxima still offers up some side content that will push you a little more in building a well-optimized team. For example, the Coliseum is a side area unlocked a few hours into the campaign that allows you to engage in battles against pre-set teams of powerful Mirages, offering up the chance to catch some exclusive ones not found elsewhere and to acquire rare items and treasure. Being able to pick your battles from a list and build teams for specific fights adds some much-needed stakes and motivation to the otherwise breezy experience, and while it doesn’t entirely make up for the often mindless main story, it certainly takes the edge off. In addition to this, there’s also rare Mirage encounters to be found in special portals dotted around the world; not only do these often contain powerful boss fights against special Mirages that you can’t easily find, but they’re usually quite a few levels above where your current team. Overall progression is nothing you haven’t seen before in classic Final Fantasy games, you spend the hours going to towns where you can meet NPCs, buy loot and pick up side quests and then move on to the next dungeon area, which contains several new Mirage encounters, a handful of environmental puzzles and a few treasures for those of you that like to go off the beaten path. So far, so similar, and though there’s nothing inherently wrong with this design, it does feel like a bit of a missed opportunity that Mirages aren’t integrated more into the world design. You can ride on the larger ones for faster travel and use them in isolated instances where progress is gated—like having a fire-attuned Mirage melt an ice block in your way—but these additions feel a bit surface-level for what could’ve been a much more dynamic experience. Even so, the environments that you’ll find yourself traversing look utterly gorgeous in motion, even if the resolution hides this a bit behind blurriness. 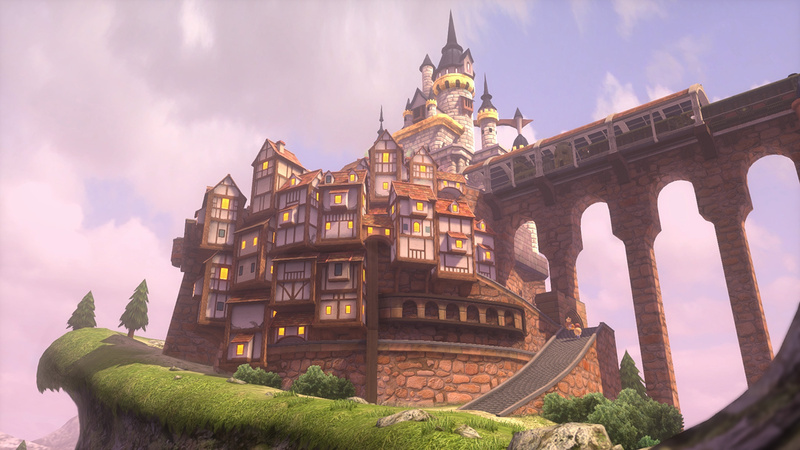 It’s clear Square went to great pains to make each area and dungeon visually distinct, and moments like crossing a vast, snow-laden valley beneath a bright sun or exploring a serene spring that glows with ethereal blue light are as memorable as they are beautiful to behold. However, it seems like World of Final Fantasy Maxima is being displayed in 720p (or perhaps even lower) when being played in either docked or handheld, which results in an image that tends to look blurry, like the whole game is being viewed through an unfocused lens. This is far more noticeable when playing docked, and though you do eventually come to get used to it, this low resolution has a notable effect on the otherwise beautiful visuals. This being a celebratory game, the soundtrack features close to a hundred songs, with a good chunk of those being remixed tracks from previous games. 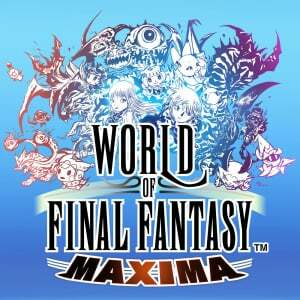 In general, the music of World of Final Fantasy Maxima keeps to a much more lighthearted and cheery tone compared to some of the darker entries in the series, and though there isn’t anything particularly memorable about the soundtrack, longtime fans will no doubt be pleased at the number of masterful remixes that pop up frequently throughout the adventure. As the ‘Maxima’ version of the game, there’s a little bit of extra content included to sweeten the deal and perhaps entice fans who already gave this a go on other platforms. The biggest feature is that Lann and Reynn can now transform into various heroes from past games after passing a certain point, which not only changes their looks, but their stats, skills, and background music as well; it effectively means that you can now play as characters like Noctis and Lightning. Aside from that, a handful of new Mirages have been thrown in, along with a neat fishing mini-game with Noctis. Though all these goodies are a welcome inclusion, these new features hardly justify the price of admission on their own if you’ve played the game before on other platforms; we’d recommend you pay a much smaller fee to download this content as DLC on whichever platform you currently own the game instead of paying full price to play the same thing on Switch. 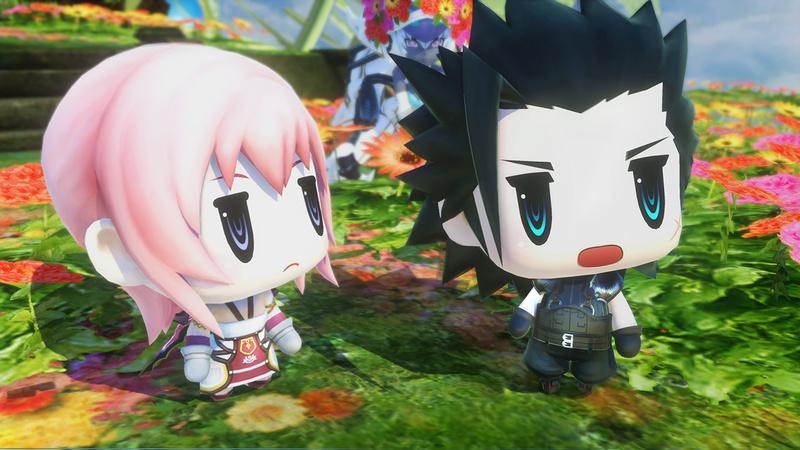 World of Final Fantasy Maxima acts as a wonderful celebration of the Final Fantasy series that will surely appeal to fans both new and old. Though the difficulty is a little on the easy side, the story is uninspired and the visuals are disappointingly blurry, the Mirage-catching mechanics and well-crafted RPG systems make this one a good recommendation. If you loved the Final Fantasy games of days past, you’re sure to love this one, and if you’re new to the series or the JRPG genre in general, this is a great place to jump in; just don't expect anything too demanding. I'll be skipping on this one. Waiting for the mainline games ports that are coming eventually. I couldn't stop laughing the first time I saw the characters with 90% head. Too bad Square haven't been able to make a great game lately. I would love to play this, but the price is a bit too much for me. Hopefully it'll go on sale at some point and I'll pick it up. I won't pay 40 euros for this game. I will wait an offer (black friday) but I will play it for sure in the future. Again, the famous typical case of casualisation right here. @Cobalt Yea, there's definitely a trend and I agree its worrying. There's no doubt it's being caused by the growth of mobile gaming and the broader audiences that engage in mobile games, but that alone doesn't necessarily explain why console developers would want to attract that audience to their games. Makes sense that the current gen of consoles are at a point where they need to attract broader audiences in order to grow install base, but I personally think there's more to it than that. It feels like we're in the twilights of the current gaming revolution, but there isn't another revolution in the works... It's only a few years ago people thought it would be VR, but that didn't really work out so well, did it? So yea, devs are instead looking to casuals for the growth, rather than the next big thing, because frankly, what even is the next big thing? I could have maybe overlooked the ugly art style if the game was outstanding but that doesn't sound like it's the case. Plus it's pretty much retail price despite being eShop exclusive. No thanks. I played this on PS4 and frankly I think it's garbage, one of the worst RPGs I've ever played in fact. The stacking mechanic felt completely broken, the soundtrack containing many awful remixes from classic FF tunes was a travesty and the cutscene direction was just painful. There's a known bug that starting the game in handheld keeps it in 720 even after docking. That would explain the blurriness. I might give this a try but not at that price. One to keep for a sale. I'll focus on more serious JRPGs. @SwitchVogel I've seen that bug reported also. Big pokemon fan in the past, i found this game amazing. Feels complete and fresh (sorry, not sorry "let's go"), plays smoothly and more importanly keeps me interested for 20+h. Was not a fan of the characters design first i got used to it pretty easily. I recommend this title for sure. Kinda sad it got overshadowed by Let's go release window. ps. didn't experienced any technical issues. I actually have quite liked this game but to each his own. Such a fun RPG, not in the same level as Octopath Traveler but fun nonetheless. Now I'm ready for the Zodiac Age and the main FF next year. Can't wait to go back to Midgar, Gaia, Spira, Ivalice, and Tipa next year. @Rhaoulos that’s how it was on the nes and SNES. There is a word to describe this in Japan - super-deformed. It’s quite common and accepted there. @Expa0 then you’ve not played many RPGs have you? Really enjoying this game. Although as previously stated, while docked it's not blurry but handheld is. It still doesn't take away what the game has to offer though. 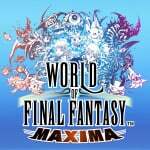 Anyone who enjoys a solid turn based RPG with quirky mechanics really will enjoy this and should help anyone get their Final Fantasy fix until the classics arrive! I played about 20 hours in on the PS4. I thought it was great for what I played. All thought everything looked beautiful and I've always liked the chibi art-style. I felt the stacking mechanic was great and testing your intelligience rather than you just picking an attack and waiting your turn. The summons were really cool. Played the demo on PS4. I really liked all of it except the random encounters. There's something to be said for nostalgia, and there's something to be said for building an entire game around one of the worst video game mechanics ever invented. Cant' wait for Super Mario Odyssey Two where all the enemies are invisible. From what I've experienced on both platforms so far, the story is more Kingdom Hearts-esque in that it's largely light-hearted but recurrently shows notably darker and more solemn developments and contexts even before their respective guns fire. Granted, it's par for the course with many proud specimens of children's fiction, and WoFF is simply no exception in that regard - but complex dark developments and interwoven themes are also par for the course with Final Fantasy in particular. This is also why I can't help expecting the plot to pull off quite a Cerebus with Lann later, especially after how Square Enix knocked it out of the park with Vanille years ago. But even so far, the boy's borderline cloudcuckoolanderness (which isn't even exclusive to him as Tama and Reynn concernedly lampshade once - hi there, Seraphie!) has yet to come across as annoying to me. That said, I do like Reynn a lot more. As for battles, tell about their ease to someone who hasn't had his behind handed to him by a bunch of moogles in the colliseum. 😅 A lot of real challenge about battles revolves around stack mechanics - not only keeping your stack composition in mind (because besides stats and abilities, it shares resistances and weaknesses as well, making it seem quite easy to carelessly end up weak against virtually everything elemental in the current area), but also keeping the stacks stacked against multiple opponents. Unstacking can indeed grant benefits in toppling enemy stacks (while there are special attacks with varyingly increased impact, even a sufficiently recurrent series of simple physical cherry-tap punches can do the trick) as well as catching some mirages (like when you need to reduce the health [before healing some] but your stack's combined power inevitably 1HKOs the target instead - granted, abilities like Subdue remedy that in other fashions), but oftentimes, finding oneself unstacked against a whole enemy group is a big problem even without facing all-hitting attacks - unless the mirages have Haste or learn something like "haste upon unstacking", your teams risk getting dogpiled in no time. And if even one mirage is KO'd before you stack back, they will need to be revived AND THEN use their own "Stack" command to join the others belatedly; until the latter they remain at risk of getting knocked back out soon. Very soon. You can do different things to prevent toppling, from unstacking yourself first (okay, it just sweetens the pill by sparing you the stunning effect) to using abilities like Balance to promptly choosing "Defend" which naturally loses some of your action time yet restores a bit of stack stability. Juggling all of that against multiple or fast foes is a big part of the challenge indeed, especially while multitasking with the catching process (from fulfilling conditions to toppling because no, you can't even create a prismtunity while the target itself is in a stack). It's not even uncommon to do some grind around a save point, routinely set the umpteenth battle to auto/speedup... and then scramble back to manual control because a crowd of otherwise pushover critters has just brought the party close to toppling or right down, and is now busy taking you out one by one. The twins included. And that's without traditional fun stuff like insta-kill abilities (Death Beak etc) - yes, if they successfully trigger, they wipe out the whole stack, too. The game IS somewhat easier in comparison to many FF games, but it's also a legitimate introduction to the multitude of ways a Final Fantasy game can sweep the floor with you at times, including when you least expect it. I have played enough, they're my favorite genre of games. You're free to enjoy the game all you like even if I do find it to be trash. No, their heads were never this big compared to their body. This big head design is called Chibi, but I have never seen it so exaggerated. @JaxonH Aha, @SwitchVogel agrees with my take on handheld vs. docked! @Dualmask Final Fantasy Mystic Quest was simplified because, as it said on the box in America at least, it was meant for beginners. 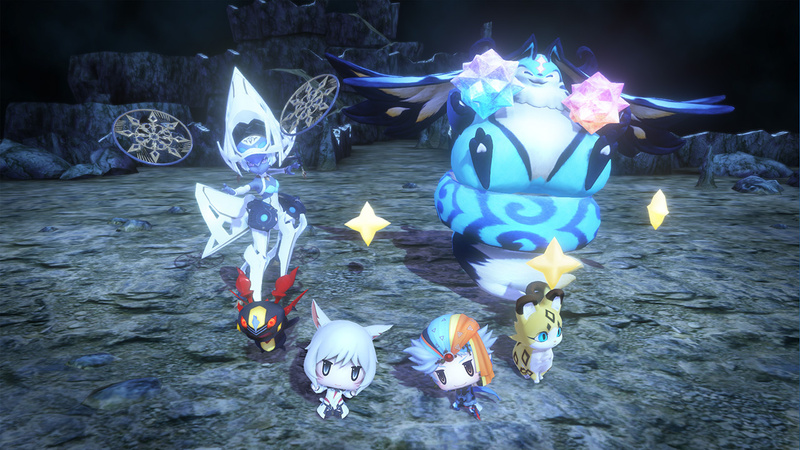 I already dislike chibi, and this game is the chibiest of games lol. I remember someone saying if you start in handheld it won't upscale to the TV when docking. Could be why. Cause I played docked later and it looked pretty meh, at least in the towns. If they would have released a physical version, I would have bought it for the third time. They didn't, so I'll stick to PS4 and Vita. @Rhaoulos Dragon Quest, Tomb Raider, Just Cause is out soon and so is Kingdom Hearts 3, Life is Strange 2, Octopath...id say for the most part they are going pretty well. All of those either did very well in review and sales or are some of the most highly anticipated games for the coming months. This is on my list but I’m trying to buy sub 20 dollar games on my wishlist for now. @Geobros Yeah, that is where I am sitting at myself. At a cheaper price, this would definitely be worth my time. @nocdaes @Cobalt This game isn't any easier than older Final Fantasy games. I distinctly remember being able heal outside of battle with cure magic in FF7, one-shotting bosses in FF8 with summons, and several versions of FF4 are famously and hilariously easy. Final Fantasy hasn't been difficult since the NES. I'd love to see this get a sequel (not the phone game...). Hopefully Switch owners support the release of a great turn based monster catching RPG. Unfortunately, it will most likely be overshadowed by Pokemon Let's Go, which is a complete shame. But it wouldn't be the first time that a large part of the Nintendo audience ignores third party games in favor of literally anything with Nintendo's name on it. Isn’t super-deformed an interchangeable term with chibi? They both mean the same thing as far as I’m concerned and grew up with.